In 2018 Czechs and Slovaks celebrate a 100 year anniversary of the creation of their common and independent state, the Czechoslovak Republic. Czechoslovakia was founded after the World War I after declaring independence on the Austro-Hungarian Empire. The story of a great desire for independency and a long fight for sovereignty leading to a creation of a young state continues to inspire nations all around the world. The Three Wise Man Day Declaration (6 January 1918) – a declaration of the General Assembly of the Czech Deputies of the Empire Council demanding autonomy for the Czechs and Slovaks and their unification into a single state within the Austro-Hungarian Empire. The Washington Declaration (18 October 1918) – officially named “The Declaration of Independence of the Czechoslovak Nation by its Provisional Government” was a declaration of the foreign resistance of the Czechs and Slovaks proclaiming the sovereign and independent Czechoslovak Republic. The declaration rejected the possibility of autonomy within Austria. It outlined the form of future Czechoslovakia. 28 October 1918 – On the evening of the 28th of October, the National Committee issued the first bill, the Act on the Establishment of an Independent State of Czechoslovakia. Hereby the new Republic was born. Among the most significant personalities of the First Republic, how the new state has been often referred to, were: Karel Kramář (the first Prime Minister of Czechoslovakia), Milan Rastislav Štefánik (the first Minister of Defense), and Edvard Beneš (Minister of Foreign Affairs and the second president of Czechoslovakia). 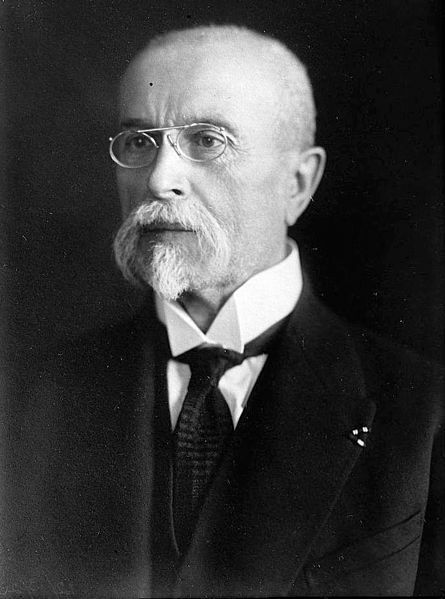 Likely the most well-known person of the First Republic was Tomáš Garrigue Masaryk, also called „President Liberator“. He was a philosopher, educator and the first president of Czechoslovakia. He has become the symbol of the First Republic and one of the most praised individuals in the Czech history. Sport: victories of Emil Zátopek, Czechoslovak long-distance runner, known for winning three gold medals at the 1952 Summer Olympics in Helsinki; successes of Věra Čáslavská,artistic gymnast, who won a total of 22 international titles between 1959 and 1968 (including seven Olympic gold medals, four world titles and eleven European championships); achievements of Jan Železný, Czech track and field athlete and World and Olympic Champion considered to be the greatest javelin thrower of the modern era; performances of Ivan Hlinka, professional ice hockey player, a winner of three gold medals in World Championships (in 1972, 1976 and 1977); and attainments of broadly known Ivan Lendl, professional tennis player, finishing his career with 94 singles titles. Economy: high quality Czech glass (Bohemia crystal and company Preciosa), shoe production (Baťa), strong heritage and experience in vehicle and machinery production (Škoda, Praga, Tatra) and engineering thanks to high quality of technical university education. In 1993 Czechoslovakia was divided into two independent states the Czech and Slovak Republic(s). Czechs and Slovaks stay two nations closely connected by common history, similar cultures and languages.